At no matter what age of life we die, we always see death as a distortion of our existence. Death portrays a horrible tragedy because it is the fruit of evil in the world. We were not created to die. When Almighty God created the first man and woman in his own image and likeness, he meant for all humanity to live for eternity with Him. Since God has no end, He desired for His beloved creation to dwell in His infinite love forever. This is why, deep within each of us, we all sense an innate desire for life! 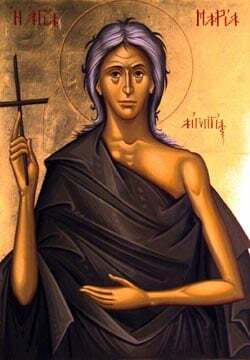 Today, I want to talk about the topic of death because I want to relate it to the Memorial Services we do so often at the end of our Sunday Divine Liturgies. We all have loved ones who have passed away, and as a Church we never forget them. At each Divine Liturgy, I remember all the faithful who have died and passed on. On their anniversaries, like at 40 days, or the 3 year anniversary, or even a 10 year or 20 year memorial, we remember the departed, and pray for them. And on three Saturdays right before Great Lent Begins, as well as right around Pentecost, we have the Saturday of the Souls. Why? What is the purpose of our memorial service on the Saturday of the Souls, and why do we pray for the dead? To answer this question, I first want us to understand clearly how we, as Orthodox Christians, view death itself. Then, I will explain why we remember the dead continuously, and pray for them. Although death is the culmination of evil in our world, for Christians our faith in Jesus Christ transforms death. For one who is united to our Lord here on earth, death is no longer a fearful and tragic conclusion of one’s life. It is but an entranceway into a new beginning! I remember a story my parents told me about their first travel abroad. My father and mother had only been married for half a year, and my mother was several months pregnant, when both got on a boat heading towards Greece, so that my father could study at the University of Athens. Both my parents remember vividly the scene of their farewell, as they leaned on the rail of the ship waving goodbye to tearful family and friends. Many mixed emotions passed through their minds as the ship slowly sailed away, and the figures of their loved ones got smaller and smaller in the horizon. During the long journey which followed, my parents became anxious about their separation from family, their pregnancy, and their new life in Athens. When they arrived at the port of Piraeus many days later, however, their anxieties and concerns were washed away as other relatives and family friends lovingly waited to receive them in their new country. Death itself may seem like an uncertain, even fearful journey, and yet as Christians we know who awaits us on the other side. Our Lord Jesus Christ is there, lovingly waiting, with His arms outstretched, ready to embrace us in deeper union with Himself, and welcome us into our eternal home. As Christians, we can face death with hope, knowing that our loving, all merciful and compassionate Lord awaits us! Divine love is greater than death. St. Paul even dares to say, “Death has been swallowed up in victory!” The victory of divine love. St. Paul teaches, “Love never ends.” The Church understands well this precept, and therefore, continues to pray for the dead always. Since love never ends, our prayers never end; our communion with the departed never end; our union with them through Christ never ends. Our prayers for the dead reveal in a most beautiful way our understanding of the Church as the Body of Christ both here on earth and in heaven. We are one Church, which includes those struggling here on earth, together with those who now live in fuller union with God in paradise. Just as we pray for one another here on earth, we also pray for those who have departed. The Body of Christ is not just the members who we see each week in Church. The Church is also the saints who we see in the icons, and the beloved faithful who have died and live in Christ. That is why before each Divine Liturgy, when I am preparing the bread which will be used for Holy Communion, I offer prayers for each one of you by name, as well offer prayers for the names of many who have died. There is no separation in our prayers for the living and the dead. Divine love unites us all together, as one Church. So we hold Memorial Services and pray for the dead because we love! Sincere prayer unites us to God, and when we pray for others, we believe our prayers can help others in their own union towards their Creator. Of course, some who have died have not lived a righteous life of faith and love in Christ Jesus. Even for such as these, we still pray with hope. We know that God’s unfathomable mercy and love is immeasurably greater than any sin or shortcoming of a person, no matter how evil. Therefore, by turning to this ocean of love in prayer, we believe as Orthodox Christians that our prayers in some way, and this way may be a part of the mystery of God, our prayers bring in some way comfort and benefit to the person we pray for! Love compels us to pray for one another, with hope and with faith. And death can never stop this! Death is not the end, and our Memorial Service concretely proclaims this fact!